Like other skills and milestones, at the age in which children learn languages and start talking, they may vary. Many children say “Mama” and “Dada” before their first birthday, and most children can say about 20 words until 18 months. But what if the 2-year-old child is not talking yet or keeps only two words together then the child needs speech therapy to say words clearly. Knowing what is “normal” and what is not in the development of speech and language, can help parents to find out whether there is a reason to worry or not. We provide the best foreign speech therapies to the children of age group 2 to 17 years old. After the initial diagnosis of delay in speech, specific speech therapy techniques will be determined for each child. There are many therapies available for children that have been diagnosed with a speech delay, and for each child, the speech therapy needed differs with the degree, severity, and cause of the delay. We have the best-trained speech therapist to provide all these therapies. 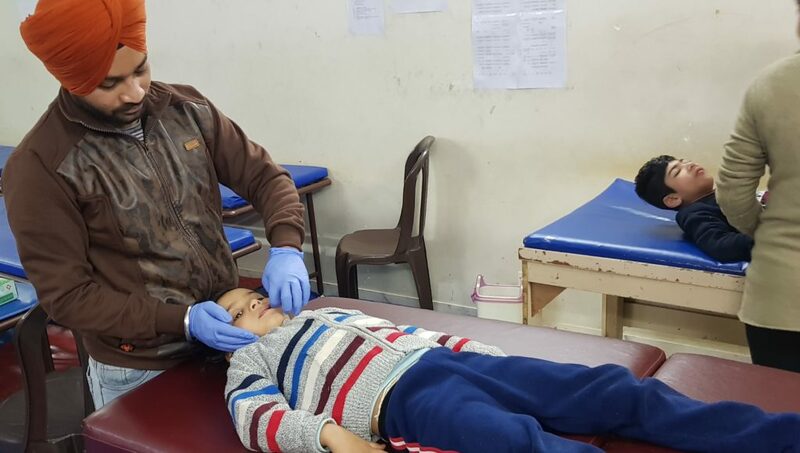 A child who does not respond to sound or who is not vocalizing should be seen by a doctor immediately. But often, it is difficult for parents to know whether their child is taking some time to reach the milestone of speech or language, or if there is a problem that requires attention and speech therapy. Prefer gestures over vocals to communicate. by 2 years: can only imitate speech or actions but doesn’t produce words or phrases spontaneously. Up to 2 years: only to say a few sounds or words repeatedly and cannot use oral language to communicate more with their urgent needs. Parents and regular caregivers should understand half-child speech in about 2 years and about three quarters in 3 years. By the age of 4, a child should be mostly understood, even by those people who do not know the child. If your child shows any of these sign in childhood, then contact us for best speech therapy. Many times, delays and loss of speech are due to a physical disruption in the mouth, such as deformed frenulum, lips or palate. If the speed or ability to make words and appropriate sounds is impaired, then the child may be slow to pick up words and the ability to shape their mouth and tongue in the formation of words can be lacking. There are other more serious concerns, which can be caused due to the neurological organization of the brain. Neurological disorganization mainly means a lack of communication between the left and right hemisphere of the brain. 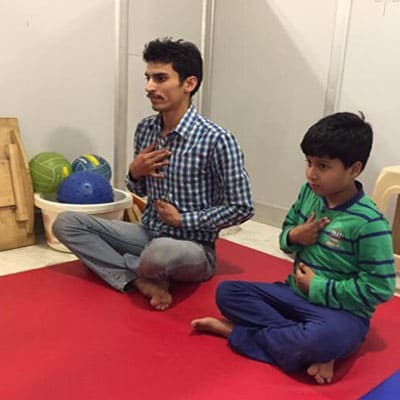 A speech therapist helps to make communication between both hemispheres. Speech mechanism in which the speech is associated with hearing loss, motor speech. Several other reasons for the delay in speech include biological children’s phonological disorder autism spectrum disorder, childhood apraxia, prematurity, auditory processing disorder, cognitive impairment, and hearing loss. Studies show that speech problems in children are more likely to be present with behavioral and social-emotional problems both in childhood and as adults. So they need speech therapy and many of our other techniques to overcome these problems. A deficit in reading and learning skills are common side effects for children, which are delayed in speech. Similar studies suggest that children with speech delays are likely to have difficulty in bonding with peers, and difficulty in communicating which could have negative effects on their psychosocial health later in life. Foreign Therapists visit IIAHP twice a year for teaching new techniques of speech therapy to IIAHP Staff. IIAHP Senior Staff takes training in foreign countries to keep the team update about latest techniques for best results. 100% area under CCTV surveillance and parents are allowed to check CCTV footage whenever they want to check for any doubts in their mind. The advanced intellectual program that includes Maths, Reading, Encyclopedia, etc. for all-round development of the child. 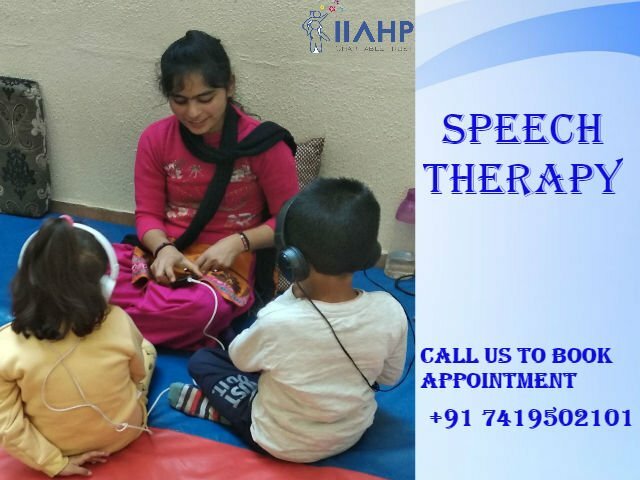 We provide Speech Therapy, Autism Treatment, Down Syndrome Treatment, Cerebral Palsy Treatment, ADHD Treatment, Dyslexia Treatment, Developmental Delay Treatment, Mental Retardation Treatment, Slow Learners Treatment, and Therapies for Special Needs Children, etc.